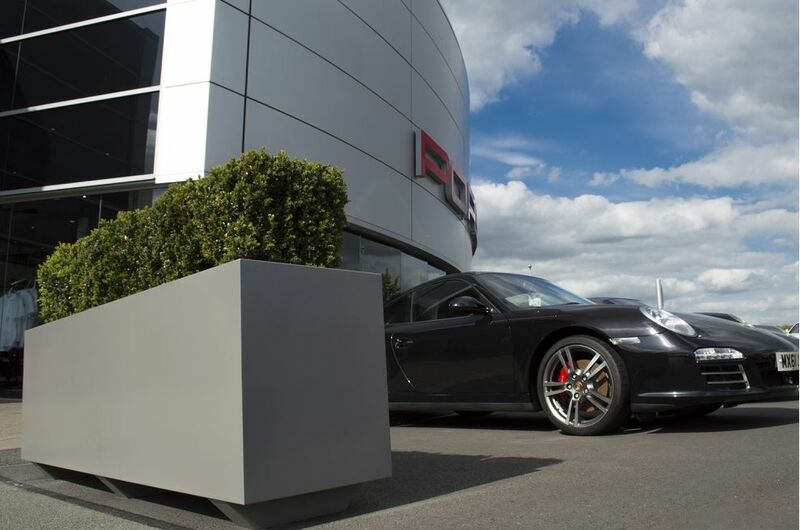 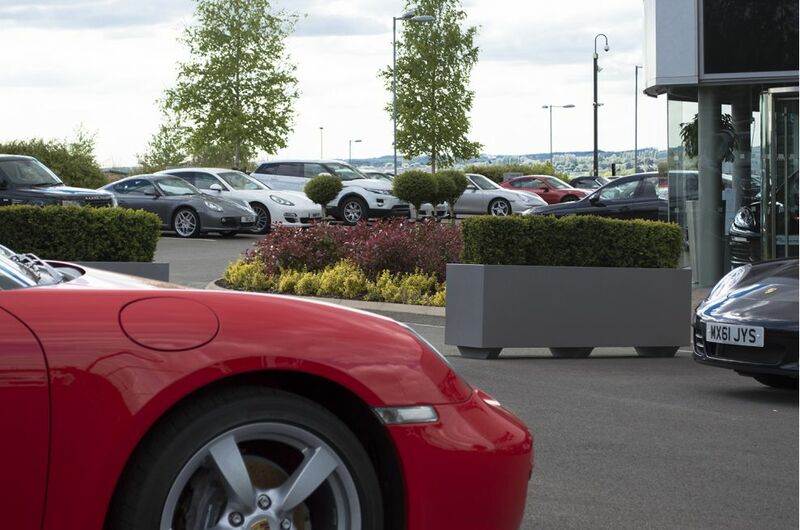 Bespoke powder coated steel planters were commissioned for Porsche Centre Leicester. 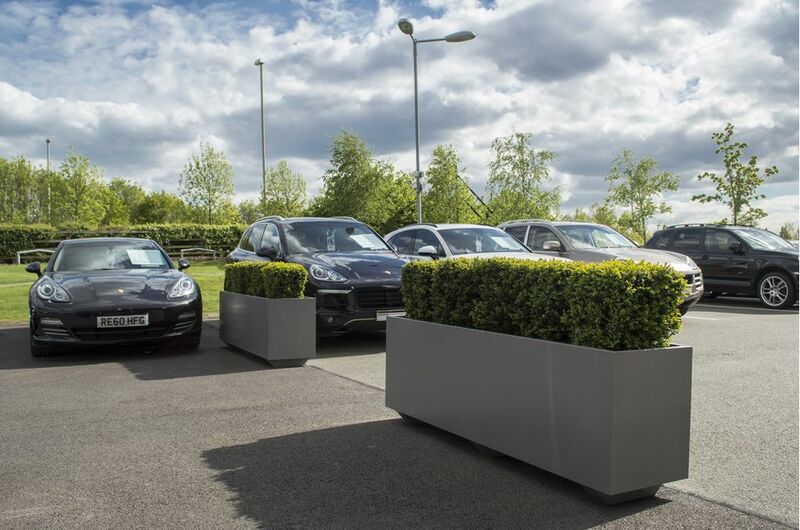 Whilst decorative, the planters also serve a functional use as moveable barriers to divide space on the forecourt. 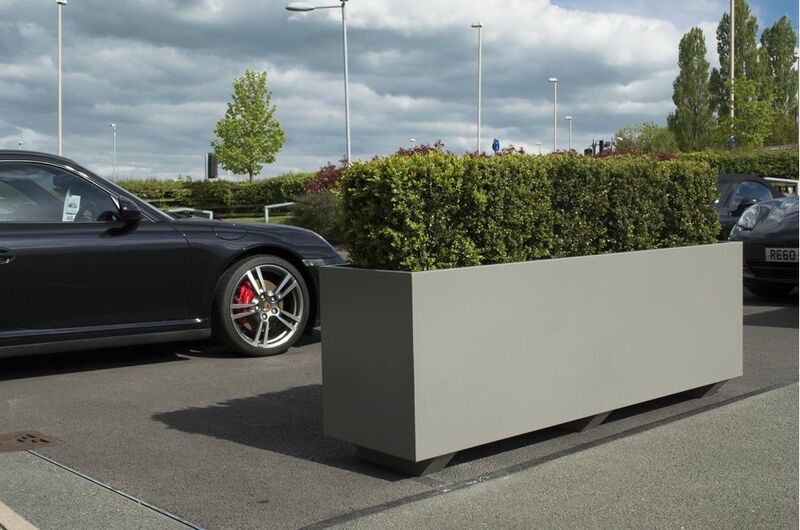 To enable movement via forklift or pallet truck, the planter design included 3nr. 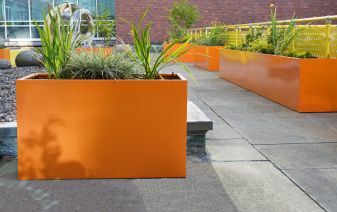 90mm high runners per planter. 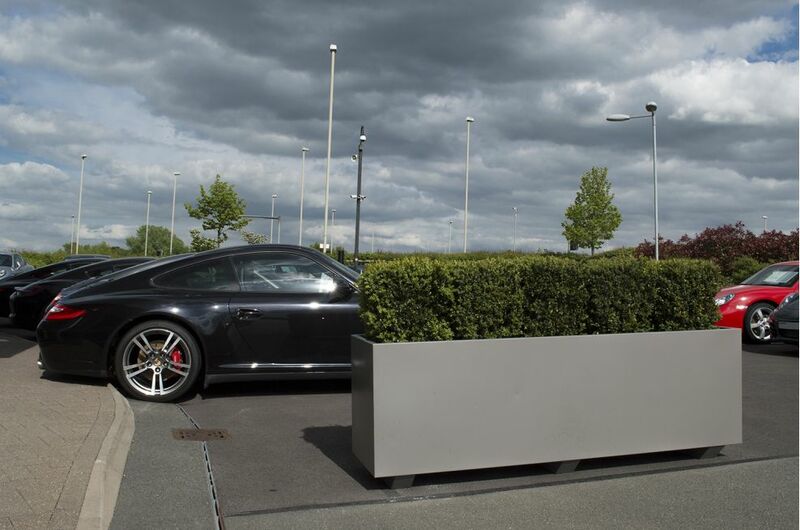 A total of 4nr. 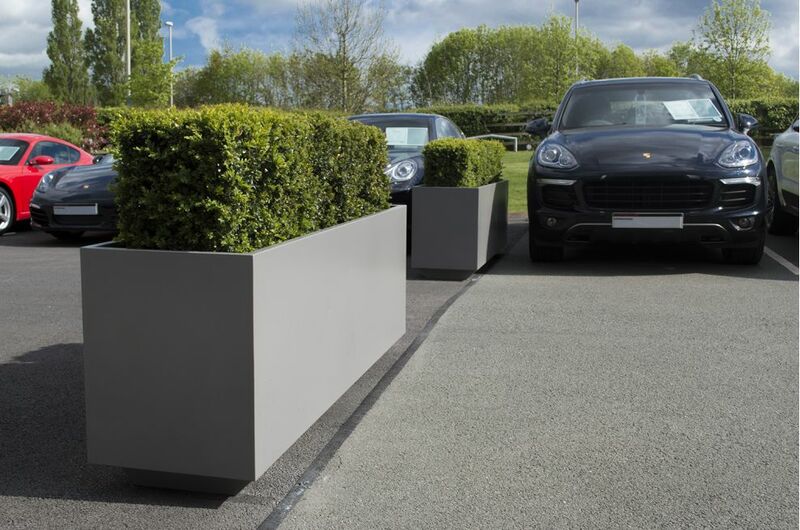 bespoke steel planters were supplied, dims. 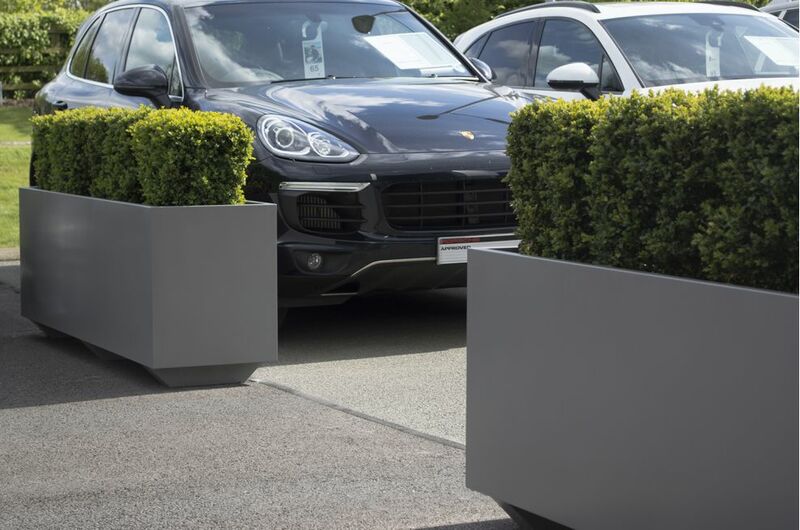 L 2000 x W 500 x H 700mm. 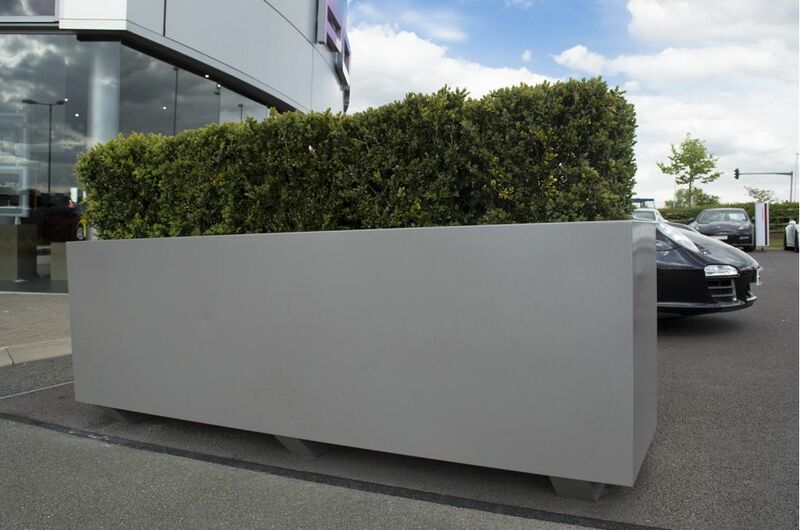 The planters were manufactured from 1.5mm Zintec steel, polyester powder coated to RAL 9007 [Grey aluminium].